I am happy to announce my February 2017 release of the ‘ktown’ packages: KDE 5_17.02. What you get in this new release is: KDE Frameworks 5.31.0, Plasma 5.9.2 and Applications 16.12.2. All built on top of Qt 5.7.1. Soon, I will compile this version of Plasma 5 on Slackware 14.2 (only 64bit) as well, but I gave priority last few days to the new LibreOffice packages and a new PLASMA5 Live image. The packages that I am releasing today are for Slackware-current only (both 32bit and 64bit). As stated in my previous post, I will no longer be releasing Plasma 5 packages for 32bit Slackware 14.2. What you also need to know is that I removed all packages and sources from my ‘ktown‘ repository that it still contained for Slackware 13.37 and 14.1. These were using up disk space that I needed on my ‘bear’ server. 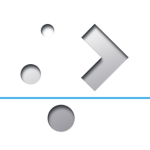 People who want the latest & greatest in KDE should upgrade to Slackware 14.2 or -current. I also emptied the ‘testing’ area of the ‘ktown‘ repository. The packages in there were outdated and no longer gave you a working desktop environment. I plan to re-add some packages for testing there, once I have rebuilt the mesa / xorg-server / qt5 stack against Wayland so I can again check out the status on Slackware of the Wayland compositor in the Plasma Window Manager (kwin). But that is for another time. What’s new in KDE 5_17.02? Plasma 5.9.2 is the second iteration of the 5.9 series with small fixes only. See https://www.kde.org/announcements/plasma-5.9.2.php . I am not sticking with the long term support (LTS) releases of Plasma 5.8, as I think LTS should be targeting stable Slackware. If you want to know more about the long term support plans, go read: https://www.kde.org/announcements/plasma-5.8.0.php . You will experience various visual and usability improvements all across the board. A new network configurator was added to System Settings. Global menus have finally been implemented in Plasma. This means that the application menus can be separated from the application windows: the menu can now be shown either in a Plasma widget or via a handle tucked into the window bar. Applications 16.12.2 is an incremental fix-release in the 16.12 series. See https://www.kde.org/announcements/announce-applications-16.12.2.php . The ‘deps’ section has four updated packages: OpenAL, libxkbcommon, phonon, wayland; and one recompiled package: qt5. I will not upgrade qt5 to 5.8.0 until the KWin developer gives it the green light. Also worth mentioning: the KF5 ports of calligra, krita, ktorrent, partitionmanager, skanlite and the KDE Development Suite can be found in “kde/applications-extra” subdirectory. Packages for kjots (previously contained in KDEPIM) and kuser (which has been orphaned) have been moved into “kde/applications-extra” as well. This upgrade should be relatively straightforward if you already have Plasma 5 installed. See below for install/upgrade instructions. For users who are running slackware-current, the most crucial part is making sure that you end up with Slackware’s packages for ‘libinput‘ and ‘libwacom‘. Failing to do so, may render your input devices (mouse and keyboard) inoperative in X.Org. You may want to check out the new Plasma 5 before installing. For this purpose, I have generated a new Live ISO for the PLASMA5 variant based on an intermediate liveslak-1.1.6.2 release. Look for that ISO on http://bear.alienbase.nl/mirrors/slackware-live/latest/ . The timestamp of the “slackware64-live-plasma5-current.iso” file should be Feb 26 16, 2017. Upgrading to this KDE 5 is not difficult, especially if you already are running KDE 5_17.01. You will have to remove old KDE 4 packages manually. If you do not have KDE 4 installed at all, you will have to install some of Slackware’s own KDE 4 packages manually. Posted: 16 February, 2017 in Slackware, Software. Thank you Eric! So far is working OK here. Well, the “vi” problem is fixed : ) I had a flickering issue when I first started X, deleted the .cache folder and that fixed it. So far all works, a little slow on -current, but everything seems to work so far. Thank you! I’ve upgraded it yesterday, as soon as your changelog RSS warned me. So far so good. The new network thing under System Settings looks nice and easy, although it seems more like a merge of the network applet floating window with it’s corresponding configuration dialog in just one screen. Hmm, I just noticed that the 64bit packages in kde/plasma are missing the ‘alien’ tag. I will fix that and update the repository later today. If you are using package automation (slackpkg+ or slapt-get) you will then notice that there are all “new” plasma packages – they will just be renamed, not recompiled. I was hoping you moved to Plasma 5.9 instead of sticking with the LTS version. I like the idea of an LTS but 5.9 got some nice additions. Hi Ricardo – yeah that is a typo, I will fix the “26”. The ‘ktown’ packages for 64bit Slackware 14.2 are underway, Plasma is compiling during the daytime while I am at work, and when I get back home tonight I will do the Applications. The only thing so far is that the battery of my laptop is not detected in the battery applet, even though if I unplug the AC it enters power-saving mode (e.g. it darkens the screen). I’ll see what I can find about it. About the battery applet, it must have been a glitch because after a reboot to get rid of intel’s graphics drivers (I’m trying the modesetting driver) it’s working fine. I’m 99% sure it’s my fault, i had an issue while updating to the latest multilib using slackpkg+ and had to delete a couple of log/packages files to restart the multilib update. I’m only reporting this because maybe it wasn’t my fault and there’s an updated lib that is not compatible with those widgets, if it works for people running the latest Multilib/Slackware/Plasma then it’s my fault. Look at http://bear.alienbase.nl/mirrors/slackware-live/latest/slackware64-live-plasma5-current.iso which I uploaded yesterday. It contains my new KDE 5_17.03 which I still need to compile for 32bit -current and therefore have not released yet. The Live ISO contains the new VLC backend for phonon. I did not upgrade the kpmcore yet. The ISO contains some more surprises, you’ll find them out in due time.